In line with the Digital India initiative of Government of India, National Handloom Development Corporation Ltd. (NHDC) has decided to implement Enterprise Resource Planning (ERP) system for its commercial activities for the benefit of handloom weavers. The ERP system will improve productivity, increase efficiency, decrease costs and streamline supply of raw material processes in NHDC. 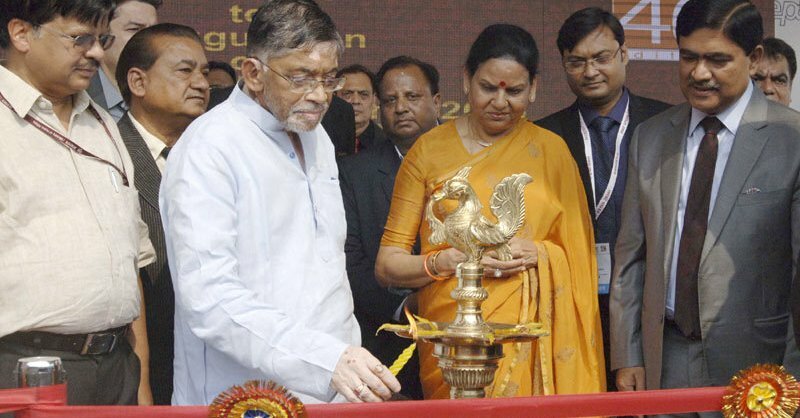 The Union Textiles Minister Shri Santosh Kumar Gangwar launched the ERP system in Varanasi on Sunday. NHDC has thus become the first PSU under the Ministry of Textiles to have an ERP system. The ERP system will significantly benefit the weavers, who are the primary beneficiaries of the yarn supply scheme of Government of India; weavers will gain from quicker delivery of NHDC material. It will also result in higher transparency and accountability, making the corporation’s activities visible for all stakeholders. All processes – such as indenting, purchase order generation and invoice generation – will be performed through the ERP system itself. This reduces the lead time and also makes the system transparent. Any delay in the chain can be identified by the weaver, and by all other stakeholders. The elimination of paperwork and streamlining and transparency of the process will improve the efficiency and responsiveness of the supply chain. Procurement, inventory management and demand forecasting will also improve, resulting in high quality customer service. By making the procurement process transparent, yarn will be available at the best price to the weavers across the country. The weavers will be able to access information anytime through the mobile app. They can view the stock of the material in yarn depots. They can place their indents. They can check the status of their indents. They can get the details of the dispatched material via SMS. The weavers would not have to visit NHDC office or send indent by post, saving time and money. Mills will also be integrated in the system, in order to ensure that indenting and order confirmation are a part of the online ERP system. Weavers can access the status of the despatch of the material from the mills such as the name of the transporter, freight, LR No etc. ERP will be available in Hindi and local languages for the benefit of weavers. Calculation of freight and depot subsidy will be done by the system, bringing in transparency and faster claim submission. In addition to NHDC, all other stakeholders such as mills, transporters, societies, weavers, Office of Development Commissioner (Handlooms), will have direct access to the information in the ERP system. The system will provide real-time information on NHDC activities occurring in all the parts of the country. The principles of Digital India such as scope enhancement, process reengineering, use of integrated and interoperable systems and deployment of emerging technologies like cloud and mobile have been considered in developing the ERP system. Varanasi Mayor, Shri Ram Gopal Mohale; MLA from Varanasi North, Shri Ravindra Jaiswal; Secretary, Textiles, Dr. S. K. Panda and Development Commissioner (Handlooms), Shri Alok Kumar were also present for the launch of the ERP system. During this visit to Varanasi, the Textiles Minister also laid the foundation stone of an Integrated Textile Office Complex at Indian Institute of Handloom Technology (IIHT), Varanasi.